The Four Seasons of Wellness program is a custom series of retreats and health education and group coaching sessions designed to enhance health by improving self-knowledge and self-care. Each retreat is four hours and includes yoga, mindfulness meditation, journal exercises, and, weather permitting, walks through the garden and grounds of the Preserve. The health education and coaching sessions are 90 minutes and cover the evidence-based Duke Integrative Medicine Personalized Health Planning process. 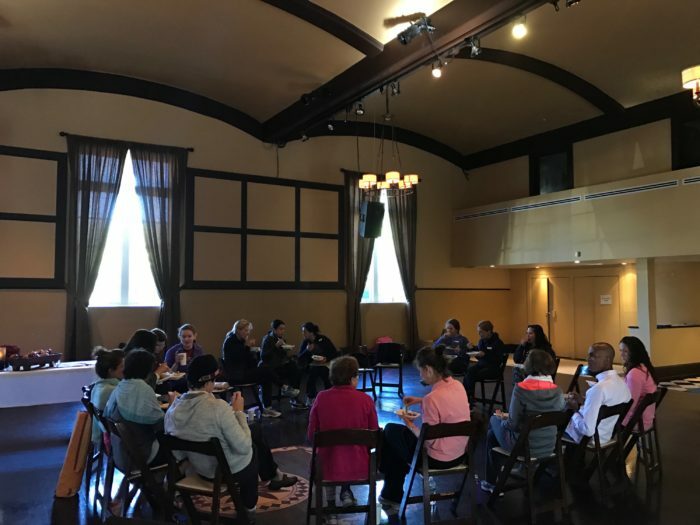 This combination of retreats and health planning experiences supports participants’ inquiry throughout the year as they discover what health means for them and the actions needed to optimize well being. It is ideal for individuals who seek to discover the motivation to take care of themselves and create a lifestyle that nourishes their vision of well-being. Reservations are required. Download the registration form here.